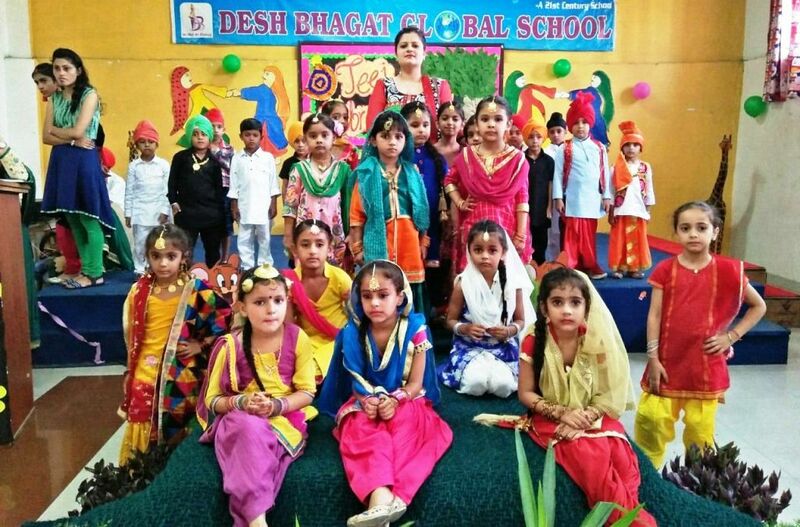 Desh Bhagat Global School celebrated Teej Festival with full zest and zeal. The celebration started with a special assembly, which was called to give knowledge to the students about the festival and to make them all aware of their Culture and Heritage. Desh Bhagat United Chairman Dr. Zora Singh was the Chief Guest on the occasion, who greeted all with his best wishes for the festival and said that it is a very popular Punjabi Female Festival. It has a special charm not only for girls but for elderly ladies also who fully celebrate and enjoy it. Director Dr. Surjit Patheja graced the event as Guest of Honour. Students were dressed up in colourful traditional attires and they added to the fascination of the festival with their wonderful performances. Giving more details about the event, school Principal Vinod Kumar Sharma said that an interesting cultural function was organised. 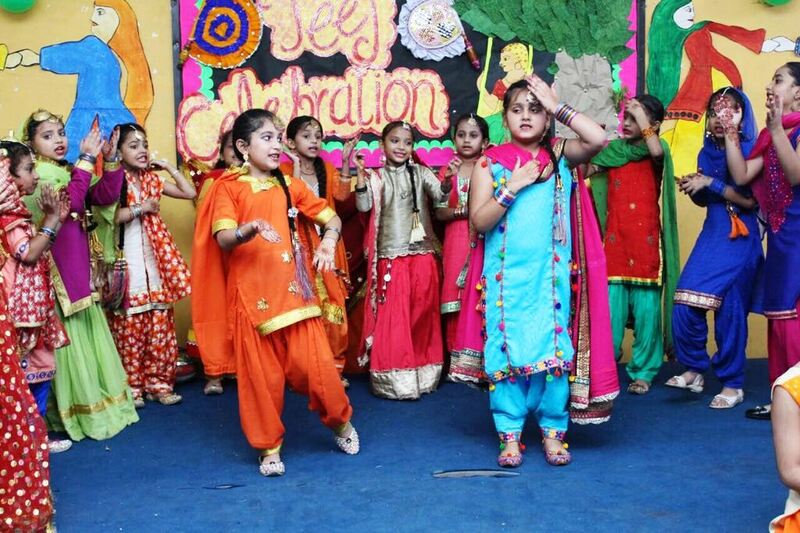 Students took part in the competitions like Mehndi, Rangoli, Drawing, Dance and Singing etc. Star attraction of the event was Giddha and Boliyan competition in which girl students performed excellently and enthralled the audience. After different rounds Miss Teej Crown was given to Noorinder Kaur from senior wing and to Angelpreet Kaur from junior wing. In Mehndi competition Veermati, Anmol and Simran were adjudged first, second and third respectively while Karman received consolation prize. The winners of different competitions were honoured with prizes. Vice Chairperson Dr. Tajinder Kaur expressed her happiness by appreciating the step taken by the school staff.